Ragu: Probably the most important player to watch footage of if you want to learn this character. Has since moved on to C-Roa and more or less entirely dropped F-Wara, but there’s a lot of footage of him and checking it out is highly recommended. Highspeed: The other important dude. Plays all moons very well. Latest listed Wara footage is three years back, and can, along with Ragu, be considered inactive. Deceased gods, scour their corpses well. Very different from C and H, essentially a different character. 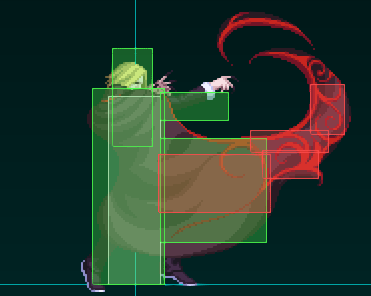 Sacrifices C and H’s mobility with one of the best ground dashes in the game for a Morrigan/I-No style rising dash. This changes his offense into a much more explosive close range guessing game which, if allowed to happen, is basically unreactable. The big element in his offense is getting your opponent to respect enough to not simply mash out of your big bad unreactable mixup. He achieves this by frametrapping with the standard F-moon +frames, with the threat of sudden dash mixup giving enough incentive to get nervous and start mashing. Excellent video tutorial by the god Ragu himself. Watch this, it has a lot of great info in it. 2A: Very good F-moon 2A. 3 frame startup, is positive on block. When you need something fast to mash, you mash this. Excellent 2A. 5A: 4 frame startup, decent close antiair. 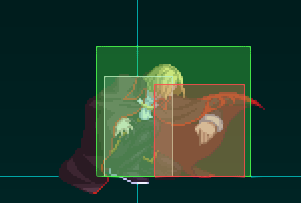 Hitbox does not extend outside hurtbox so will either trade or get stuffed against anything proper, but a very fast air unblockable with a decent antiair hitbox. Whiffs on all crouchers and shorter standers. 2B: The god. 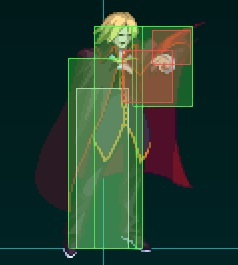 7 frame startup, no hurtbox on the cape, and at an obscene +6 on block, this is your primary frametrap tool. Also inches you forward slightly, so can actually get you out from under someone who’s trying to airdash at you in the corner. Links into itself on block for a frametrap or 2A for an airtight blockstring. The first hit has barely any hit- or blockstun so beware, though. 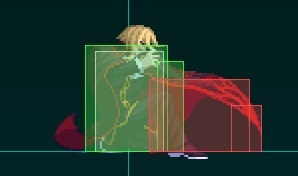 Key part of his 2B(1)[C] loop, which is one of his more consistently landable damage combos. 5B: The other god. First active on frame 9, then the full hitbox from frame 12 onwards. Plus on block, good range, launches on third hit and catches jumpouts. B normals will make up the brunt of your pressure game. 2C: 8f startup. Standard sweep. Can be charged to float higher, and the other integral part to the loop. 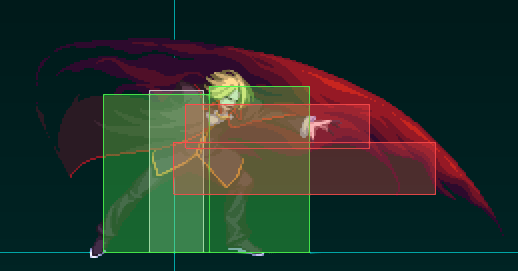 Of note is having no hurtbox on the cape and curving upwards towards the end, so this can actually work as an improvised antiair of sorts, to catch low airdashes and such. Can also be used to catch backdashes, meaty 2A 2C is an effective OS against wake-up backdash. 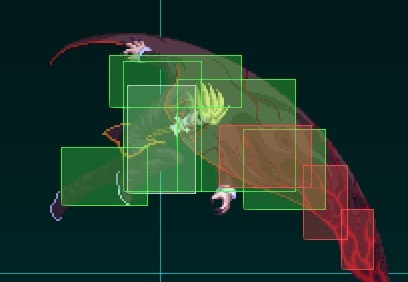 5C: First active on frame 11, full hitbox at 13. No hurtbox past his hand. Decent poke, but hitconfirming may be difficult and comboability at the range you would use this from is not great. Use it to check people in the corner after you push yourself out a bit or something. 6C: Your launcher, nothing spectacular on its own. Largely just a combo tool. Can be charged for a slow overhead but you don’t need that seeing how you have a significantly faster overhead if you’re playing F-moon anyway. At 28f of startup, it’s slow and rarely useful. Also air blockable. j.A: Your primary way of fighting people up close in the air. 6 frame startup but not particularly big. Mash this if someone’s inside your minimum range. j.B: Probably your best normal. This is what you play most of your neutral with. Use it a lot, but not too much, as being predictable leads to being shielded, losing momentum and dying. Cancel it into fireballs on ground block for advantage. Get very intimately familiar with this normal, it’ll be your best friend. j.C: Very deep, downward angled normal. 3 hits, good damage but not as good for poking as j.B. Works as an air-to-ground from further ranges though. Has a huge blindspot at point blank range so don’t use it as a jumpin up close. j.2C: Weird delayed j.C that does only one hit and hard knockdown. As tempting as meterless hard knockdown sounds, you don’t have any real practical combo routes into this and you have all the meter in the world with this character anyway. Won’t see use too often. 623x: Pinwheel. Essentially a DP with reverse frame data; it’s fully invincible through active, but not on startup. A version goes forward in a rainbow, B version goes straight forward. These can be harder to punish than you’d imagine, especially if spaced correctly. The EX version is an actual reversal, but a very slow one. It’s actually slow enough to let someone whiff a meaty 2A on the preflash invincibility and recover in time to block anyway. It has a lot of preflash startup and very little postflash, and is one of the methods to setting up his more damaging loops. He goes in a figure-8 twice, doing 9 rounds then ending where he started. Very unsafe on block and counterhit state until you recover. 236x (air ok): Fireball. Has a lot of recovery, B also has a lot of startup. One of your main neutral and oki tools. Air versions are much more important. A version keeps your horizontal air momentum, then drops you down. TK j.236A is an excellent oki tool to stuff jumpouts. 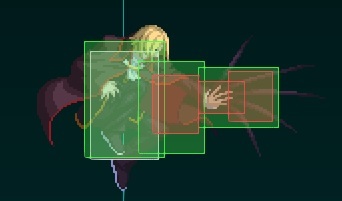 B version halts all air momentum before continuing it after recovering. Do these while having almost landed or heading down to zone and fish for air counters. If you accidentally do one while headed up though, expect to die. Land one and you can get the vortex going. Falling j.B 236B land is legit and advantageous, do it. 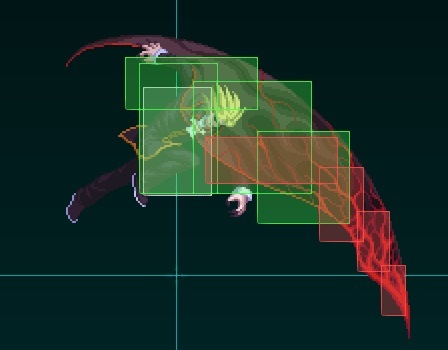 EX version halts all air momentum, then throws you back and slightly up before falling. Does a good amount of damage and a pretty noticeable dent to guard bar. Use if you have a H-moon nearly guardcrushed, any other moon can just IB on reaction. Generally not worth it, but can be used after 22x to set up a haze combo. 22x: Drills. A version is right next to you, B is moderate distance. Can be charged to go half a button length further ([A] goes between A and B, [B] goes nearly fullscreen). Negative on block, and unsafe at point blank. Goes away if you get hit. Use for space control and oki. Yes, oki. The last hit stays out for a rather long time, enough so that doing a very early 22A after knockdown so the final hit hits meaty will let you recover before it hits and be significantly + after a knockdown, letting you go for frametraps or gamble on a dash mixup. EX version travels about half a screen horizontally. 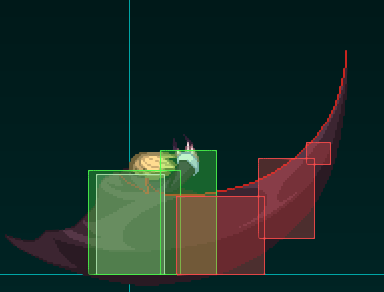 Is + everywhere except point blank in the corner, and can be a decent option to push your opponent towards the corner after midscreen 22x. Not the best, but it exists. 421x: Teleports. A goes slightly backwards, B goes slightly forward and C goes a decent distance forward. Not invulnerable during startup, and have some recovery to them, but overall a fairly decent teleport. Can be used for some dank left-right mixups with fireballs if you really need that last one damage, but offensive use is limited overall. j.421x: Air pinwheels. Regular versions are mostly useless, as they are in fact airtechable and often punishable on hit. A version is fast, doesn’t do a lot of hits and barely any damage. B version is slightly slower, does more hits and is still bad. As a gimmick, you can hold the button you used to reappear where you started from, otherwise you will recover right in your opponent’s face. In either case, you’ll probably be killed for using this in neutral, or at all. EX version on the other hand is what basically all your meter is reserved for. Big damage, big knockdown, big oki, this move is bigger than a Texas ranch. You’ll still get killed for attempting this in neutral but finishing an air combo with this should always be your main course of action. Try to not land this at point blank, as you’ll miss out on a lot of hits, and thus both damage and knockdown time. 214x: Haze. This is the combo video cloud. Gives significantly increased hitstun and untech time on anything inside it, and does slight amounts of unblockable non-lethal damage, as well as giving slight amounts of meter to both players on contact. A version moves forward slowly, B stays still and EX is a bigger, lengthier stationary haze. 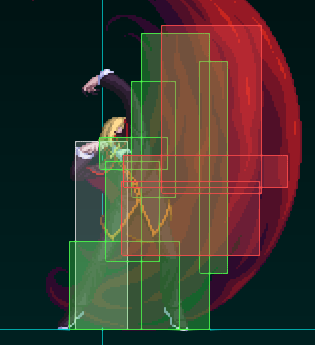 There are combos made entirely around this move, and this is the source of his biggest damage, as well as the peak of his execution. 41236C: His Arc Drive is fairly good. It gives a very lengthy knockdown, hits fullscreen and homes, and does decent damage to boot. 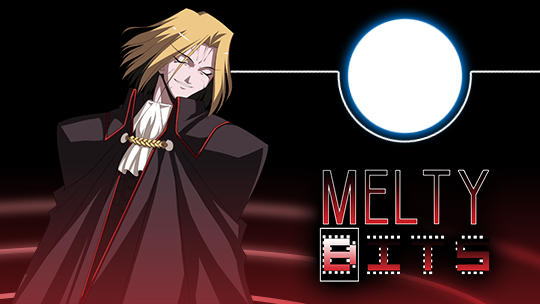 While it does hit fullscreen, it’s fairly slow and very negative on block, so keep that in mind. IH into this is a decent idea as you get tons of time to set up unpleasantries afterwards. The AAD version on the other hand, is faster, safer, and calls all of Wara’s summons at the base of the tornado to hit the opponent, meaning that ground hits and low juggles do significantly more damage. If also, for whatever reason, hijinks happen and your opponent gets to tech out of the tornado part, then gets hit by the final hit (face/screamer/whatever), it actually does humongous damage. Last Arc: Ground shield only. Unblockable, unshieldable, active for days and final spin is fullscreen. Can reset into itself on awkward hits. Pretty good LA. This is his most basic BnB. Decent damage, knockdown, can be confirmed from nearly anything. You can substitute the pinwheel for airthrow if it’ll kill or you don’t have the meter, but this is not recommended unless you really will kill with it, as the airthrow is groundtechable. You can, in very few cases use meterless pinwheel but be absolutely sure it will kill as it forfeits your advantage entirely. While landing j.B will catch techs forward, anything else is safe and forfeits your advantage. You can also OTG off this with a few 2A’s into 5B, and catch any resulting groundtechs that might happen, or just go for the kill with that last few damage. The loop. Big damage, but the timing is very strict. EX cancel into the pinwheel just as the drill hits. You should get three passes to hit, with the last pass hitting with the very top of the spin. After this, proceed to do the loop. Picking up the first hit with 5B(1) is also possible. Meterless knockdown combo. Weaker than his air combo but if you’re midscreen, need to conserve meter or simply don’t have it, this is what you go for. This is one of your most advantageous knockdowns, and you actually have time to set up a TK fireball after it and then do stuff after. You can use 623B in the corner as an ender instead, but both work. The last hit of 623A/B must hit, otherwise you will lose the hard knockdown and probably also get punished and die. Haze should not be treated as a consistent part of your gameplan and more as exceptional circumstances. If you can actually implement haze into your game successfully, odds are you don’t need anything in this guide. Regardless, a much more informative video of combos, both with and without haze included here will tell a lot more than copypasting a ton of different potential routes here. j.B a lot, air backdash fireballs, fish for counterhits. j.B j.236B is legit and very good. Use drills sparingly, they go higher than you think but the recovery is immense and if you whiff one on your opponent going in you will die. Press your B buttons a lot when you’re on offense, go for dash mixups when you think they wanna block. Gamble on dash mixups, get mashed out and lose. FWara’s neutral game is unsurprisingly straightforward and revolves around exploiting the nearly undisputed air superiority given to you by your great air normals. You’ll want to be in the air often and you won’t have the choice anyway because you don’t have a ground dash. Because of this, you don’t have any approach on the ground. Your airdash goes slightly downwards but using it as your only way to close in from the air may make you predictable. What you have to realize is that you shouldn’t be too eager to approach, just move around and fish for an air counter opportunity with your jB. If the opponent stays on the ground he will have to deal with your falling jB/jC which, as powerful as they are, shouldn’t be spammed because they can easily be shielded. And don’t forget your jA too, it’s your fastest air normal and your only air-to-air option in close range, using it at the right time will prevent your opponent from rushing you. Against a really turtly opponent (or one who just gives you enough time) don’t forget to set 236 fireballs up, they will cover your advance towards him and help you close in safely. This works out through both low air backdashes and the aforementioned j.B j.236B string. This last bit of advice is most easily applied in the Riesbyfe match-up which is heavily in your favor if you use your fireballs correctly. Again, don’t approach if you don’t have to, your movements are too predictable if you commit to a rushdown plan so just be happy playing the neutral game and eventually you’ll find openings in form of counters or positional advantage by slowly pushing your opponent in the corner. The hardest match-ups in the neutral game will be against opponents that can contest your air superiority. Some air normals can challenge yours (Kohaku’s jB comes to mind) and require carefulness that you’re not always used to show in most match-ups. Air unblockable projectiles like CMech missiles will also mess up with your plan, the only way to get through is to shield them. FWara’s pressure game revolves around his 2B range. As it has been said before, his 2B is an amazing tool for stagger pressure : it has a lot of frame advantage and even advances you forward a bit. 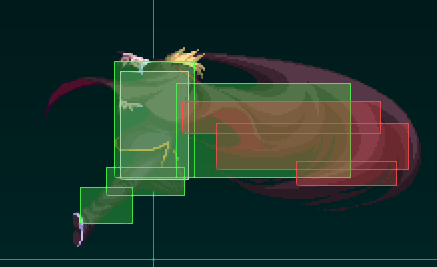 One of the most defining features of FWara is his dash mix-up : dashing towards the opponent and either hitting with a jA (overhead) or immediately landing with a 2A (low). The sheer speed of this mix-up makes it impossible to block on reaction, the opponent has to guess how to block and if he’s wrong he will eat a full combo. Now, there’s a downside to it : both options lose to mashing. Be it a 5A, a dp or heat activation it will beat your mix-up. Still, your opponent will have to guess when he should mash and that’s why you will have to use FWara’s great stagger pressure to catch out preventive mash. At this point the real mix-up is not between hitting high or low but between a dash or a stagger. If you’re pushed out of your stagger range you can still lock the opponent in the corner by staying near max jC range and exploiting your long range normals. Any blocked falling jC/jB can be immediately double jump cancelled into an IAD jA , this is a tight string that can get you back to your more aggressive range. As always, don’t be too predictable with your falling aerials or you’ll be shielded. Not your strong point, but not awful either, unlike his reversal. Despite not having a serviceable reversal, your very fast 2A makes mashing out a slightly more appealing option than it usually would be. Otherwise, looking for chances to jump out as usual is your best bet. As the air is where you are strongest anyway, this should be a natural reaction. Shielding is also your friend, as while the damage from it isn’t anything to talk about, the momentum shift is a significant reward for a character like F-Wara. 2B is not remarkably fast or something that could be advised to mash, but the forward momentum can inch you under an airdash and possibly give you breathing room. The very good hitbox on it can also counterpoke quite well, so keep it in mind as an option. If you can find the space for it, 421x teleport, namely the C version as it’s the only one that actually takes you forward, can also get you out with some success, but don’t rely on this as a main escape method.